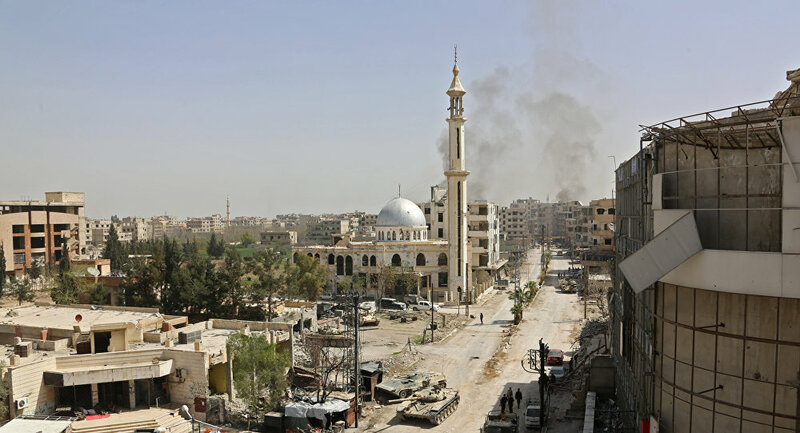 MOSCOW (Sputnik) - The Jaysh al-Islam militants have shelled Damascus with mortar rounds two times over the past 24 hours and fired the positions of the Syrian troops with small arms, the Russian Defense Ministry said in a statement. "Over the past 24 hours, the militants from the Jaysh al-Islam group have shelled Damascus and its suburbs with two mortar rounds. The positions of the Syrian government troops have also been attacked with the use of small arms," the Russian Defense Ministry's statement read. The ministry has informed that about 7 people being killed and over 42 injured by Jaysh Al-Islam militants during the shelling of Damascus with 25 mortar shells and bombardment missiles. Jaysh Al-Islam militants have violated the reached agreements by blocking civilians' evacuation from Douma via the humanitarian corridor, according to the Russian MoD. Over 33,300 people have left Syria's Duma since March 5, Russian Defense Ministry informed. "Yesterday the situation in the city of Duma escalated seriously. The members of the Jaish al-Islam group have carried out attacks on the positions of the government forces and resumed rocket and mortar shelling on Damascus… The intensity of the fire is growing," center's commander Maj. Gen. Yuri Yevtushenko said at a daily briefing. Yevtushenko indicated that the militants used the local population as a human shield and carried out acts of intimidation shooting the civilians who called for the withdrawal of the militants from Douma. Earlier, the Syrian State TV reported that Jayish al-Islam militants shelled the town of Douma in the Damascus suburb. The Russian reconciliation center for Syria center has reported that a total of 153,140 people, including 40,000 militants and their families had been evacuated from the area of Eastern Ghouta in course of an eight-day operation on withdrawal of the Faylaq al-Rahman militants from the area. 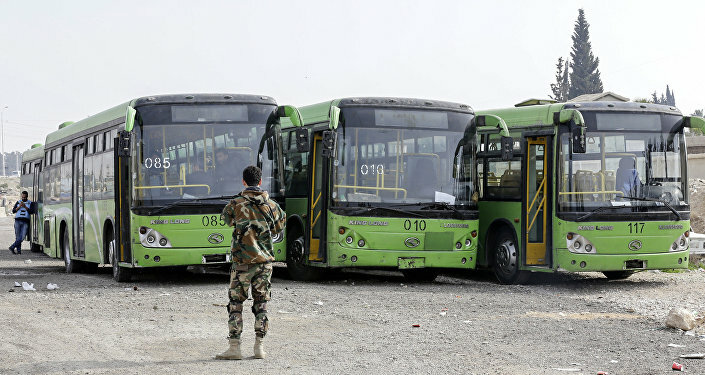 The situation in the Damascus suburb has been tense since February 18, when Syrian government forces launched the operation Damascus Steel, in a bid to clear the region of militants that were attacking the Syrian capital from its outskirts. On February 24, the UN Security Council unanimously adopted Resolution 2401 that urges all parties to the conflict in Syria to immediately stop fighting and adhere to a humanitarian pause for at least 30 days across the whole of Syria.